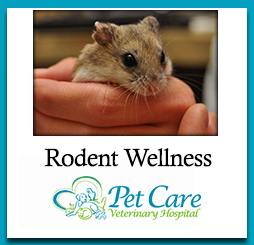 When treated with gentle care, domesticated rats are clean, docile, cuddly, and easily trained. In general, rats don't bite unless frightened. Their larger size makes them better pets for children than hamsters or mice. Rats are relatively intelligent and social animals that enjoy the company of other rats and humans. They are usually nocturnal, meaning that they sleep during the day and are active at night. However, many rats will adjust their schedules to be awake when their owner is at home to give them attention. Hooded rats have brown and white or black and white fur, and Sprague-Dawley or Wistar-Lewis rats have white fur. Rats can have other varieties of hair coat color. Male and female rats can be housed together but pairs do better if raised together from a young age. Adult rats may be introduced to each other, preferably in a neutral cage that has been used by neither rat, so that territory protection and fighting is diminished. Some rats introduced as adults get along well, while others do not; so make sure you watch them closely for fighting when first introduced. When breeding rats, be aware that males may bother the young and females may fight among themselves after they have given birth. Rats are particularly prone to respiratory problems, and caging that provides adequate ventilation is essential. Wire cages with plastic bottoms are ideal. Aquarium tanks provide less ventilation and are not recommended for pet rats. Ammonia buildup from urine can cause or exacerbate respiratory and skin problems in rats, so cages should be cleaned at least twice a week. Respiratory infections are common in rats and manifest as sneezing, nasal discharge, lethargy, and, at times, a head tilt. These infections are most commonly the result of a bacterial or virus infection (or both together) and are often seen secondary to an environmental stress, poor diet, or inadequate housing cleanliness or ventilation. These bacterial and viral infections can be chronic and recurrent. Rats are natural burrowers, and it is very common for domesticated rats to burrow in their surroundings. Rats are also very active and like to explore. Keep this in mind when designing your rat's cage environment, which should be large enough to accommodate a large exercise wheel, a hide box, and a tunnel for play. Providing "cage furniture" satisfies a rat's inquisitive nature and innate tunneling behavior. Bedding can be shredded paper (avoid shiny ads that can contain toxic substances), hardwood shavings, or composite recycled newspaper pellets. Cedar and pine shavings are not recommended, because they contain resins that can be irritating to a rat's skin, eyes, and mucus membranes. Aspen shavings are preferred bedding for rats. In addition, tissue paper, paper towels, facial tissue, old mittens, or socks can make excellent nesting materials. Water is the number one nutritional requirement for all animals. A water bottle with a sipper tube works better than a water bowl, which can be tipped over or contaminated with waste and bedding. Hanging the water bottle on the outside of the cage so just the tip of the spout is inside discourages chewing of the sipper tube. Water needs to be changed daily, and the sipper tube should be cleaned weekly. Seeds have a high fat content and poor nutritional balance and so are not recommended for rats. 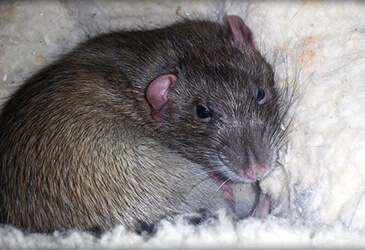 Oxbow Animal Health's Regal Rat is the pelleted food of choice for pet rats. This highly palatable diet provides a balance of protein, fats, carbohydrates, vitamins, and minerals. An easy-to-follow table, which outlines feeding guidelines, is provided on the package. Rats may avoid strange foods, so a gradual conversion (one to two weeks) from one diet to another is recommended. Pellets can be fed in a sturdy crock bowl. Dishes should be cleaned daily, and any leftover food should be discarded. Many owners want to offer treats to their pet rats. A treat should be enjoyable to eat and should provide interaction between you and your rat. Fresh fruits and vegetables fed in limited quantities can be offered as treats. In order to prevent digestive upset, feed the same treats consistently, and avoid gas-forming vegetables such as broccoli or cauliflower. Rats are like humans in that they may eat because of boredom. As a result, they are prone to obesity. In spite of what most people think, rats do not always need food in the food dish. To keep rats busy and entertained, a few raisins can be hidden in hay that is left out in the cage or stuffed in a paper towel roll. Burrowing in, tunneling through, and playing with hay also keeps them busy. Hay is also a snack that will not cause obesity. Grass hays such as timothy, orchard, and oat are the best to use. Spaying and neutering pet rats is recommended. Female rats are prone to mammary cancer, and spaying at a young age reduces the incidence of this disease. Male and female rats enjoy social contact and being housed in groups. Neutering allows this social interaction without the problem of breeding and subsequent pregnancy.